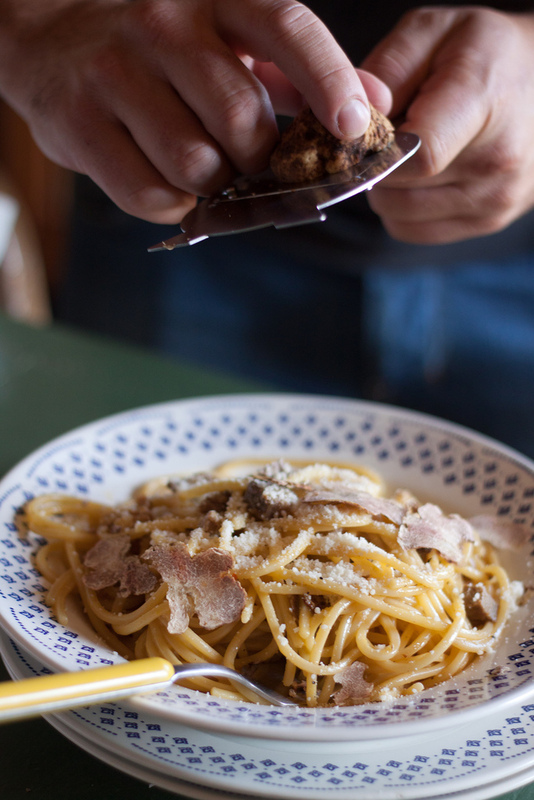 A week of mild and unexpected temperatures welcomed my foodblogger friends here in Tuscany. 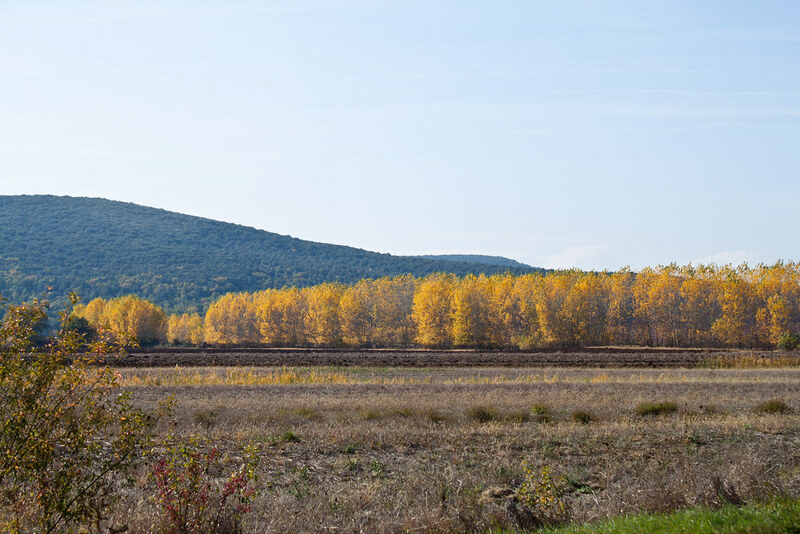 Warm sun, blue sky and the trees dressed in their Sunday best: the countryside put on a show, proud in its red and yellow foliage, proud of the changes, did not conceal the passage of time, but showed it off with pride, perfectly aware of the charm of this never ending changing. 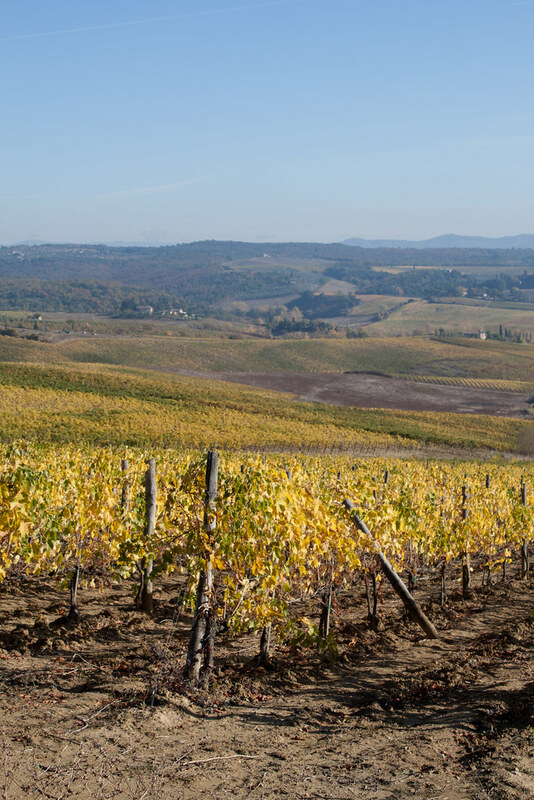 It was so attractive to switch off the words in a stunned silence in front of a valley of fading vines, from ochre to orange. The change is part of the essence of Nature, of the surrounding world and of us human beings. I am fascinated by the changes though, frankly, they scare me every time because they make me lose balance. There’s a quote I would have written in my diary as a teenager, a quote that perfectly explain the importance of losing the balance: if you want to take a step forward, you need to lose your balance for a moment (M. Gramellini). My wish is to live aware that the changes are nothing more than a gift, the spur you need to make a step further, even if uncertain, to reach your goal. These days, thinking about changes and skipping voluntarily the hairstyles, styles and musical taste evolution that carried me quite painless from childhood, throughout adolescence until the age of reason, I began to browse through my blog recipes. At the beginning, during the first months of Juls’ Kitchen life, I loved experimenting with recipes that were as far away from my everyday culinary world as possible, such as curries, fried rice, cupcakes and macarons. Then I started to feel the urge to know better that world that everyone – especially abroad – love with transportation, and in which I had the fortune to live: Tuscany. Here’s how I came to home and family cooking, to discover my roots, my smell and taste memories, so deeply connected to my grandfather’s chops or my mum’s crumble omelette. Now what? I came to the ingredient. Now this is what counts most for me: it has to be fresh, seasonal, preferably local, no fanaticism or fixations, I just prefer what the season offers according to the period of the year, with the most intense and appealing smell and flavour. The seasonal ingredients are the starting point for a new recipe… hence my love for simple dishes, such a vegetarian side dish with crisp and fragrant green zucchini, sauteed for a few minutes with fresh garlic and oregano. A triple jump from the origin, but it’s always me, it’s always Juls’ Kitchen, every time connected to the need of a precise moment to cook and blog about what I wanted and was hungry about! In this season from the orange leaves of the trees to the smell of the first fireplaces in the air, what is shouted in a loud voice is just pumpkin, pumpkin, pumpkin! On the way back from London I was reading BBC Good Food on the plane when my eyes fell on a recipe, the butternut squash macaroni cheese. Since that moment I couldn’t wait to get into the kitchen to reinvent a classic dish of the Italian cuisine, la pasta ai quattro formaggi, our national version of the American mac&cheese. I melted in a creamy sauce all the leftover cheese in the fridge, including a precious to me British blue Stilton from Harrods, a small personal gift from the airport duty free! Along with the cheese, I added a fruity Mantua pumpkin, with a thin and soft greenish skin and a not too sweet fragrant flesh. 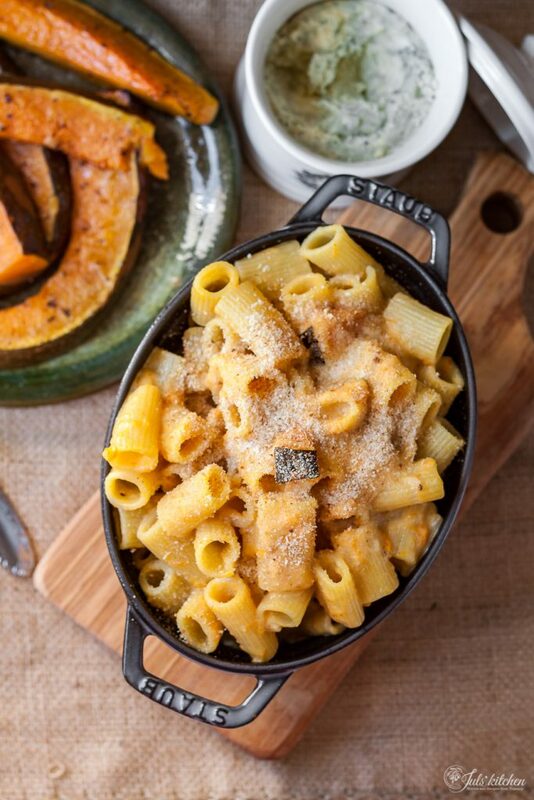 A bunch of cheese such as Asiago, Pecorino Romano, Parmesan cheese and Stilton are combined with the baked pulp of a Mantua pumpkin for a first dish with the taste and the colours of autumn. Use the cheese you prefer: the result won't delude your expectations! Wash the pumpkin under running water to remove any trace of soil from he skin, then remove the seeds and slice it into 2 cm thick wedges. Line a baking sheet with parchment paper and brush it with extra virgin olive oil. 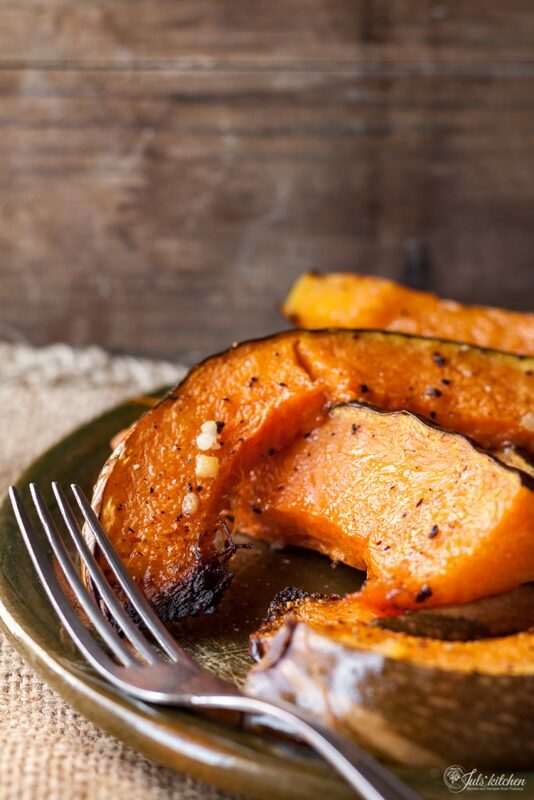 Lay the slices of pumpkin on one side and season them with a pinch of coarse salt, freshly ground black pepper and a generous drizzle of extra virgin olive oil. Bake the pumpkin for 30 minutes until golden brown and almost caramelized on the edges. The flesh and the skin are supposed to be soft at this point. Melt the cheese with the butter and the milk in a saucepan over very low heat, stirring constantly with a whisk, then add 2/3 of the pumpkin, peeled and crushed with a fork. Mix until you get a smooth and orange yellow creamy sauce. 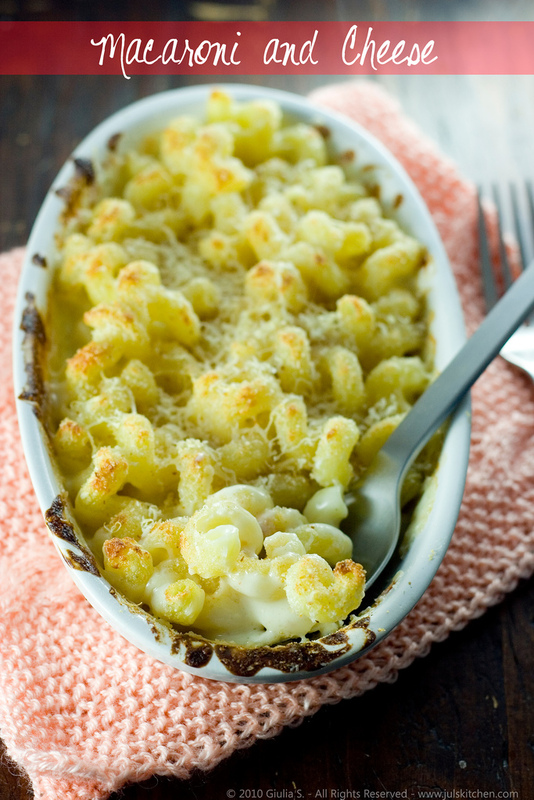 Cook the pasta al dente, drain it and toss it with the pumpkin cheese sauce, then spoon it into a baking dish. 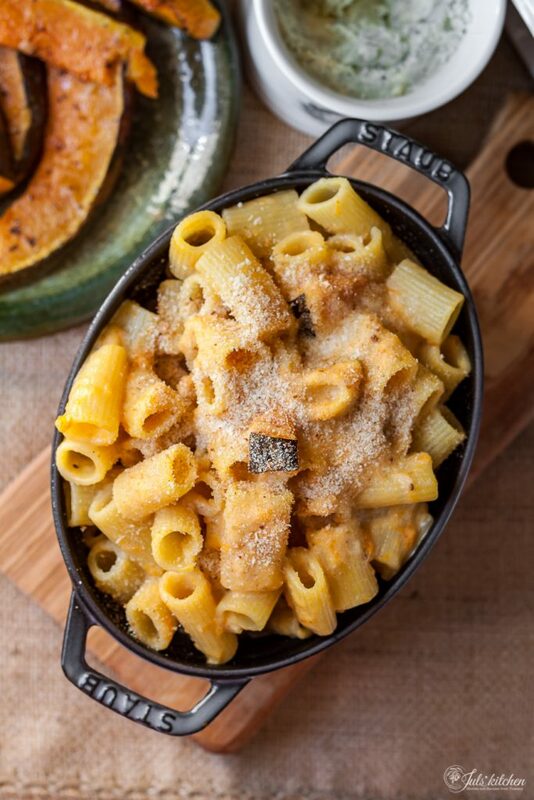 Cut the remaining pumpkin into cubes and stir it into the pasta. Sprinkle the pasta with the breadcrumbs and grill it in a hot oven for 5 to 10 minutes until golden brown on the surface and still creamy and soft underneath. Serve immediately still hot from the oven. 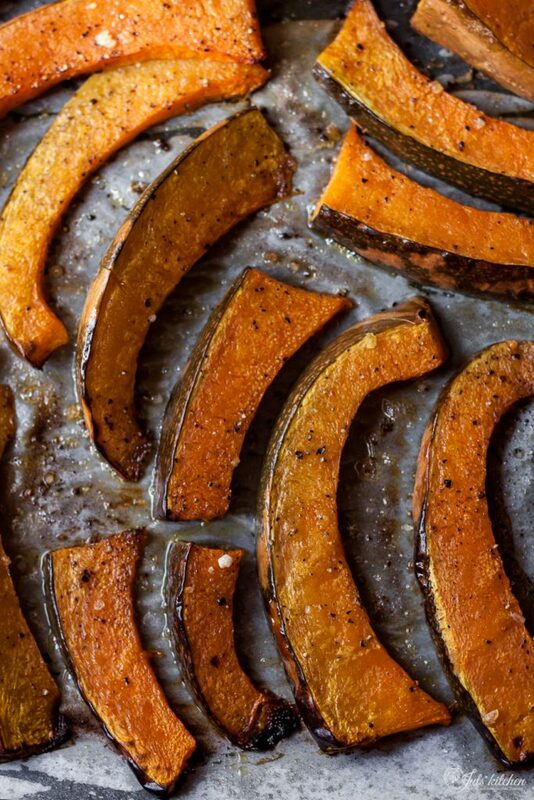 The pumpkin, baked with a simple dressing of extra virgin olive oil, sea salt and freshly ground black pepper is a superb side dish, with vivid colours and deliciously caramelized pumpkin wedges… double the quantity of the pumpkin and use it as a side dish or light main course after the reach and creamy Mac&cheese pasta. broccoli basil Mac and Cheese by Heidi of 101 cookbooks, the green and crunchy version made by my favourite blogger. Beautiful post, Giulia! I will post a vegan pumpkin mac&cheese recipe today on my blog. It’s interesting to see another one from a different view! So scrumptious and marvelously seasonal! 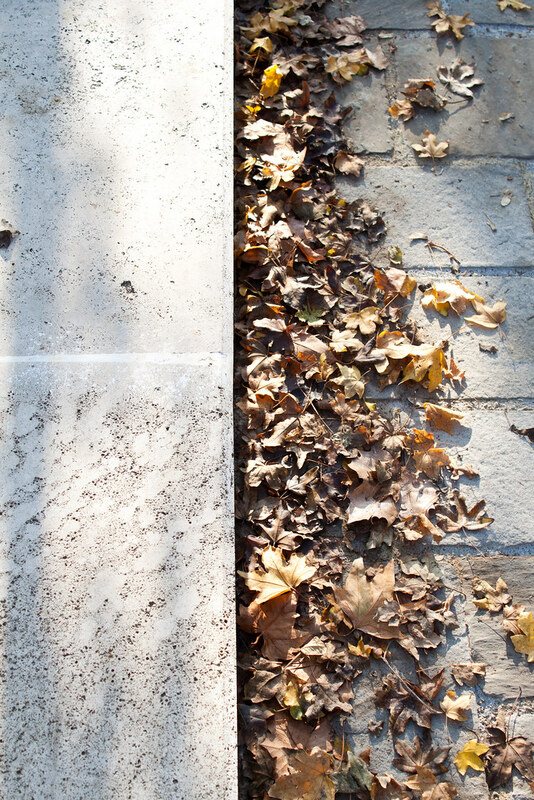 What a wonderful autumnal post, the oranges and browns are so rustic and perfect for that recipe. 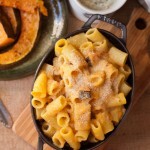 Perfect comfort food, the pumpkin and cheeses must be delicious with the pasta. 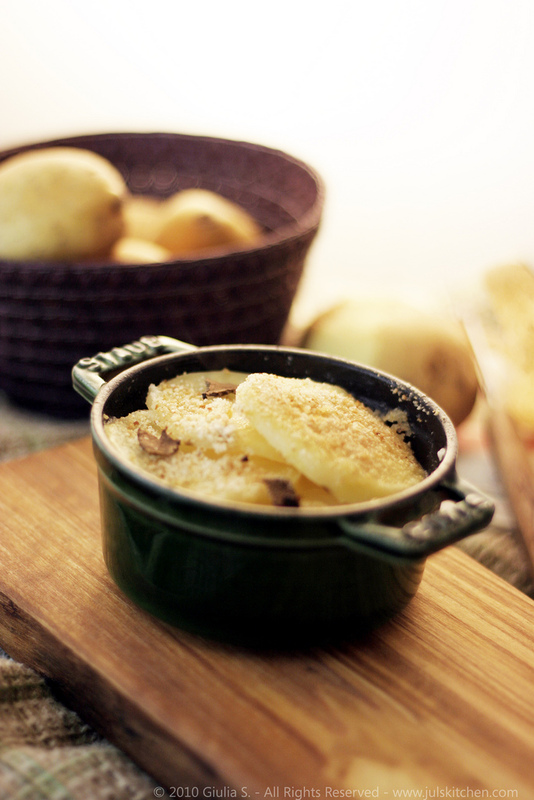 This is such a beautiful recipe, and so straightforward to make, as it should be. I like that you’ve got chunks of pumpkin in there as well as the puree. The color alone is worth making the dish! How interesting! I have never had pumpkin in mac’n cheese (but I only really encountered pumpkin as a regular food when I moved to the U.S. some years ago). but it sounds like a very tasty twist! Mmm, this looks scrumptious! I love roasted squash. Yum! Stunning photos, and an equally stunning dish. I love the addition of pumpkin to mac & cheese! This sounds, and looks! absolutely delicious. Oh, I have been thinking about an autumn mac and cheese with pumpkin. This looks, and sounds absolutely lovely. I cannot wait to get home to make one! I must know where you got your “staub” cookware? That’s my maiden name and I had NO IDEA there was cookware (either current or retro) with that name!! This looks like it was a great experiment. Beautiful pics! Oh I made baked pumpkin mac n cheese the other week, it was SOOOOOO AMAZING!! breathless moments… ready for change as it enriches your life! I love pasta and pumpkin as well, will make the pasta next week. Thank you for the recipe. This looks delicious Giulia! I love the idea of adding pumpkin. I am definitely taking full advantage of all of the delicious squash available at the Farmers’ Market these days, so this is one more delicious recipe to try out. Thanks! I cannot wait to make this dish. I absolutely love pumpkin and it looks so festive. Your entry made me grateful and excited for the changing seasons as well. Thanks! I need to seen the BBC a thank you card because this dish is exquisite! It looks beautiful, it sounds beautiful and I’ve absolutely no doubt that it tastes beautiful as well. Brilliant! You are very fortunate to live in Tuscany… though I suspect you think I’m fortunate living in London so there are pros and cons to either! I just wanted to say that I made a version of this today based off of your fabulous recipe. It was fabulous and a great idea! Thanks for sharing! thank you for your feedback Holly, I’m so happy you liked it!